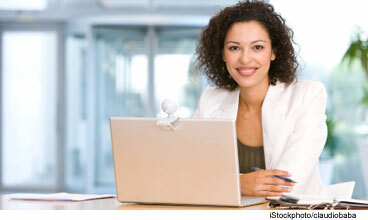 That means if you’re in the market for a job, a virtual interview may well be in your future. While many employers use Skype’s free video chat to meet potential hires, companies are increasingly opting for services tailored for interviewing. Some sites even let applicants record video answers to preset questions at their own convenience. Hiring managers can then review them later, rate and compare answers side-by-side with other candidates’ responses, and share recordings with others involved in the hiring process. Clearly, for employers a video interview can be faster and cheaper than an in-person meeting, especially when travel costs are factored in. And not only is it more convenient for interviewees, it can be an opportunity to control the environment much more than if you were sitting face-to-face with a recruiter in her office. Get comfortable with the camera ahead of time. Practice seeing yourself on the screen. An easy way to do this is to use Skype. If you don’t already have an account, go to Skype.com and set one up. After downloading the free software to your computer, simply open the Skype dashboard and click on Tools>Options>Video Settings and you can see yourself on screen. How does everything look? Pay attention to lighting. “Better lighting is a better image, and a better image creates a better reaction,” says Hyers. “You want to be lit from the front so half your face isn’t in a shadow.” That said, very light-skinned people can appear washed-out directly in front of a bright window, and you might get “raccoon eyes” if situated directly under a bright light. Again, make sure to check this ahead of time. Clean up the background. While it might seem obvious to not conduct an interview in a messy bedroom, Hyers suggests being intentional about what else, besides you, is on the screen. You want your environment to reflect the qualities you would like to portray to the employer. Avoid rambling by practicing sound byte responses. Think about questions a potential employer might ask and practice responding. Common ones include: Tell me about yourself. What is your greatest strength? Your greatest weakness? Why should we hire you? Why do you want to work at this company? And with a webcam, you can post short notes for yourself around the edges of the screen—something you could never do in a live interview. Practice speaking without fillers such as “um” and “like.” It sounds just as awful on a webcam as in real life. Finally, relax—it will help you exude confidence. I have just created a nightmare for myself trying to do work on my computer in my spare time. I am a full time college student and doing part time work at home from my computer would be desirable for me. But the ones I tried that sounded doable are now inundating my email with affiliate offers or misrepresented themselves in the first place. Are there reputable company’s or sites that offer employment working on line?